During the past decade, image-guided surgeries and minimally invasive interventions have emerged as alternatives to traditional invasive approaches. This book explains the fundamental, technical and clinical components of these innovative image-guided therapies. It presents the basic concepts of image guidance, the technology involved during procedures, and the design and construction requirements for image-guided operating rooms and interventional suites. It also covers ongoing developments in the field, such as molecular imaging-guided surgeries, and novel innovative therapies, such as MRI-guided focused ultrasound surgery. In aging and death, the goals of medicine tend to run counter to the interest of the human spirit. In the book, a combination of research and storytelling explores how medicine can comfort and enhance a dying patient’s experience, providing not only a good life but also a good end. 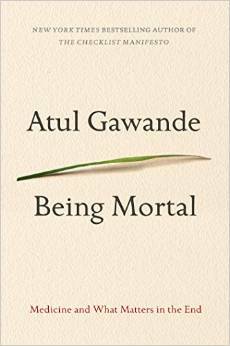 Gawande, a practicing surgeon, shares his views that quality of life is the desired goal for patients and families. He shares examples of socially fulfilling models for assisting the infirm and dependent elderly, as well as focusing on the varieties of hospice care to demonstrate that a person’s last weeks or months may be rich and dignified.